We can get caught up in business – and indeed in business writing – in showcasing ourselves. We airbrush the version of ourselves that we present to others. And in doing so we unwittingly lose the emotional connection, vulnerability and authenticity that actually give us the power to make change that matters. Sarah Windrum is a very successful, high-profile business woman, but her book The Superhero I was Born to Be is a deeply personal account of what she’s been through, including her struggles with mental health, and how she developed the resilience and energy that underpin her success. I also talk about the Extraordinary Business Book Summer Reading List – are you in? Alison Jones: Hello and welcome to the Extraordinary Business Book Club. I’m here today with Sarah Windrum who is the CEO and co-founder of the Emerald Group, working with businesses and organizations wanting to harness technology to achieve their goals. 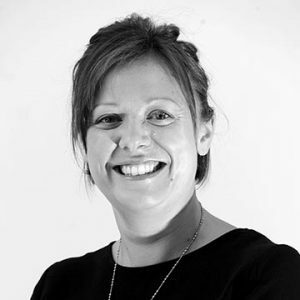 She’s a board director of the Coventry and Warwickshire College Local Enterprise Partnership, and chair of the West Midlands Digital Group. (I have to take quite a lot of breaths here. There’s a lot of stuff.) She’s on the Industry Advisory Board at Warwickshire College. She works with Ukie, the national trade body for interactive entertainment on their digital schoolhouse primary school program. She’s a member of the skills board at Tech UK, the National Industry Body for the Technology Sector and a champion for their women in tech program. She’s also the author of The Superhero I was Born to Be. Sarah Windrum: Thank you very much. Alison Jones: It is honestly quite a staggering list of achievements and responsibilities. And do you know what? I left some off because it was just getting so ridiculously long. Tell us how you got here, how you keep going, and whether this has anything to do with superpowers? Sarah Windrum: Yes. Yeah, it is. I always find that it is a nice list when you hear it read out, I guess when you live it day to day, it’s just what you do, you don’t feel that it’s probably quite as impressive as it sounds. How I got here really, is just it’s who I am. It’s what I’m all about. I’m really passionate about making a difference. I know a lot of people are, that’s why we do what we do. And I guess I always look for those opportunities where I can make a difference and where I can bring my experience and my skills to the table. And yes, absolutely. It’s all to do with superpowers, because I wrote The Superhero I was Born to Be just after I came out of counselling. Really, just thinking about how I applied some of the strategies that I learned in counselling into my everyday life, and that’s obviously both professionally and personally. I feel that’s really important that when we’re in business, we’re making that emotional connection with people. But to do that, we need to have that emotional connection with ourselves. That really is what Superhero is all about. It was my exploration of how I came to that point of emotional connection with myself. And then from there, how I do everything that I do in the business world from that point, really. Alison Jones: Which is fascinating, because it’s not the topic that leadership books tend to be all about, is it? That sense of your own mental health, connecting with other people there. They call it ‘soft‘, don’t they? But that sense that actually the emotional, that whole person side of it, is what makes you capable of performing at that level and sustaining it. Sarah Windrum: Definitely. That was one of the reasons for writing it. Is that there wasn’t anything else out there like that, that I’d read. Certainly, there were things that touched upon it and we actually met at the Trusted book launch. Sarah Windrum: In Trusted, Lyn and Donna have very much talked about that emotional connection with people. I always say it’s a business but with a real heart. There are certainly books that start to talk about that, that’ll start to touch upon that. And I guess I just wanted to take it a stage further really. Alison Jones: Yeah, and I’ve seen them, Lyn Bromley and Donna Whitbrook’s Trusted, was of course where we met. I think I had to race out of the room because I was catching the last train back from Birmingham, I came and said, “I’ll have you on the podcast soon.” It was Lyn who recommended you. I remember her saying that thing about you talk about mental health and business and leadership, and just not enough people do that, and it’s a really, really important topic. Yeah, it’s fascinating. What strikes me as well is that obviously it’s not all about you. You are obviously passionate about being the best that you can be, but there’s so much also in your CV about how you focus on enabling others to do the same. I just, I wondered, in your experience, what is it that typically holds people back? Sarah Windrum: A lot of it, I think, is self belief. I would say the flip side of that is self doubt. I think when you talk to people it’s really interesting because I can see their strength straight away but it’s almost like they don’t believe them sometimes, they don’t believe in their own strengths, or they struggle to see how their strengths can be applied. There’s a lot of that idea of, “Oh, well, everyone’s doing it, everyone’s good at that, or everyone is like that.” They’re not, and I guess I have a superpower in that sense in that I can see that in people. I struggle sometimes with myself and I think that’s where that self doubt comes in. We’ve all experienced those moments, so I certainly think that is something that can hold people back including myself. The other thing really is resilience. It comes back to that seeing things through and getting back up even when they’ve got hurt. When you have a dream it’s very easy to start up on that journey, but then when the going gets tough, that’s when you can fall and struggle to pick yourself back up. That’s what I would say is from my perspective of the things that hold people back. Alison Jones: Going back to that self doubting, is it often enough just to point out to someone to validate to them that you see this strength in them or is it more than that? How do you get over that? Sarah Windrum: I’m pointing specific examples of where they’ve used that in a way that other people couldn’t do it. I think certainly that it’s important. I think, acknowledging my own self doubt, I’m quite public about my own struggles on all social media including business social media, LinkedIn, I will talk about some of the personal struggles that I have on what is primarily a business platform, and it’s not Facebook. I’m using their strengths that way, and I think once they see that in action and they see for themselves the benefit that they can bring, you could slip away from that. They’re there on that that journey themselves then. Alison Jones: That’s brilliant. And actually you could probably add to the list of things that hold people back, is the lack of someone to fulfil that role, to notice what their strengths are and to talk to them about them and to point them in the right direction. It’s terrific that you’re doing that particularly for women in tech, I think, which has its own problems as a sector, doesn’t it? Sarah Windrum: Yes. No, definitely. Again, I think you’re right actually. That’s opportunity, isn’t it? And seeing those opportunities and even if you’re connected in that world, it’s sometimes very difficult to see those opportunities for yourself. No, definitely. I would really agree with that. I think this all makes me sound very altruistic, but actually this comes back to superpower really. My mission in life is to touch as many people’s lives as positively as I can, and that is what makes me happy. It’s what brings me joy. It sounds like, oh, I’m all out for the greater good in the world, which I guess I am. But, actually, that fulfils something in me. Maybe that’s my superpower. That’s my strength, and I need that to be fulfilled in order to feel joy in my own life. It’s not just all about the good for others, it’s good for me too. Alison Jones: It’s all about me, then. Sarah Windrum: It’s all about me. Yeah, exactly. Alison Jones: That’s the perfect feedback loop. Isn’t it? Because it’s scientifically proven that generosity and connection, and all that good stuff makes us feel good too. That’s brilliant. Don’t you think making the book can make you feel good? Why did you feel that it was important to write that book and how on earth did you find the time? Sarah Windrum: I wrote a little bit every day. I love writing. I used to write poems when I was young and I was actually quite old, I was halfway through secondary school before I realized that everybody didn’t do that. I thought that’s what everybody did. We all wrote poems, right? There was this weird look with my friends where they realized that I was just a bit strange. I love writing and it’s always been a part of me. It was really nice actually getting back to it, because I think if it had been the thing that I had neglected in the crazy business world. I’d neglected that part of creativity that was so important to me. I actually wrote it in quite a short space of time, but just writing a little bit every day. The reason why I wrote it was for me, but the reason why I published it was because I thought it would be important for other people to read this. Actually it was interesting at the launch, I was interviewed by a local business person called Rob Harrison from Glued, a marketing agency. He said it’s like broadcast mentoring. I guess it’s a bit like what we’ve been talking about in terms of how I interact with people, but being able to do that on a much bigger scale, because it’s not about necessarily having those face-to-face meetings. People can read the book and benefit from it as well. Maybe I’ll sell a million copies, who knows? But I could never meet a million people or however many people hopefully will read the book. It’s that idea of how can I spread my message even further. That was why I published it. Alison Jones: Yes, and that is a great thing about a book. Isn’t it? It can take you to places that you would never normally go and reach people that would never normally … You can do things at scale. Has anything about having a book out there in the world surprised you? Sarah Windrum: I’ve had some amazing feedback and actually I’ve had both constructive feedback of people who didn’t like elements of it, and were quite happy to tell me that and to tell me why, and obviously people who did enjoy it and told me the bits that they really enjoyed. I’ve loved that, that openness of not just, “Oh yeah, it was great.” Actually, being able to pinpoint: “I enjoyed these bits, I wasn’t sure about these bits.” I found all of that brilliant, brilliant feedback. The other really nice thing. I was in a school actually doing a talk not that long ago and one of the teachers spoke to me and she said, “I bought your book and I shared it with my two teenage daughters. We had a discussion about what it would be like to write a book like that and to put it out in the world.” Because it is a very personal book and I talk about a lot of very personal things. I found that absolutely amazing. I’d never thought about my book being used in that way of them thinking about how that would feel for me to do that, and the courage that that would require. I was just like, “Oh, thank you so much for telling me that.” Because that really made me feel great. And also, I guess, gave me an opportunity to see how the book is working in a way that I hadn’t anticipated. And yeah, magical is exactly the way to describe it. It was just such an amazing, tingly, warm feeling from my tip to my toe. It was lovely. Alison Jones: It’s an important point, actually, because a book can feel like a monologue in the sense that it’s a one way broadcast. But actually, the act of reading it turns it into a conversation. You only have one half of this, you also hear what the reader does with it, the way they respond to it. The direction they take it often can be completely different to what you expected. The book makes its own way in the world. That’s wonderful. Sarah Windrum: Yeah. No, definitely. That was actually one of the worries as well as one of the great things about it. One of the worries at the beginning was actually I can’t stand over every reader’s shoulder and tell them how to interpret every single word. I need to … As you say, I need to be ready for the book to have a life of its own. And that’s what I found has been so wonderful about all the feedback. It’s that yeah, it has had that life of its own, and that’s been … It’s been really nice to see that happen. Alison Jones: Did you feel that the act of writing it changed you at all personally or professionally? I know obviously you’ve written a lot, but you hadn’t written in that business space before, had you? Hadn’t put your public business persona out on the line as an author. Sarah Windrum: No. Yeah, absolutely, and I think that was part of the most nerve-racking experience. I mean, a lot of the feedback that I’ve had from the business community has been, “We never knew some of these things about you,” obviously, or that “It’s not the book we expected you to write.” I think that’s been … I’ve heard that in a few places which actually I found really positive because I like surprising people and I like doing what is not expected. Most people will tell you that about me. Disruptive in a good way I think is what they mean. Yeah, I have really liked actually hearing that, that this isn’t the book we expected you to write. But yeah, they’ve read it, and can give me feedback on, as you say, how it’s changed them or how it’s influenced them. Yes, I think being a business person and being at a point in my life where I have these important roles and responsibilities, and then putting something that actually shows how vulnerable I am underneath all of that was both nerve-racking and exhilarating. Alison Jones: Brilliant. Do you read? Do you do it the other way around? Do you read business books? I don’t know if you have time for this, but if you do, what do you look for? Sarah Windrum: I like, unsurprisingly, I like business books that deal with elements of psychology. I really love the sports psychology stuff. I love The Chimp Paradox. That’s a book that totally changed my life …. Alison Jones: It’s just a great title. Sarah Windrum: It is absolutely brilliant. Alison Jones: Just focus. Focus on this question. Sarah Windrum: Exactly. Again, I like those books that come from that psychology perspective, but then pull that into the business world of how you apply it in the business world. I think Trusted is again a very good example of that, of this is the psychology and here are the ways that you can pull that into your everyday life. Because I think that’s really important. That’s really what I look for, that application of knowledge, because sometimes I think we need a bit of guidance with that and support with that so I like it when a book doesn’t just stay in the academic space. Actually brings it into real life. Alison Jones: Yeah, absolutely. My publishing imprint is called Practical Inspiration because we bring those two things together. If it’s not inspiring then what’s the point? But if it’s not practical, it’s not really helpful. Yes, I absolutely agree. I love that. If there’s a first-time author listening to the show and they are perhaps … The space before you wrote the book, even before you just took your courage and you put it out there and so on, what one bit of advice would you give to them? Sarah Windrum: Definitely take that first step as nerve-racking as it is and feels. If you’ve got something that you’ve written that you know the world will benefit from, take that step and definitely do it. But I think there is also an element of doing it at the right time and you’ll know when that right time is and when that opportunity comes, because you do need to be in a place where, as we’ve said before, you are ready for that, for your work to have a life of its own. Find a really good publisher, a partner, and I know from what Lyn Bromley’s told me, Alison, you’re like this. That partner doesn’t just do the publishing and the editing that can actually help you to take that emotional journey as well. I used Gwyneth Fox from Tantamount and she was absolutely brilliant for that too. Finding the right publisher that can help you on that emotional journey because it is emotional, is really important. But absolutely do it. 100% do it. Alison Jones: Brilliant. Have you got any actual writing tips? What did you find? I mean, obviously you’ve written quite a lot so maybe you just do it instinctively, but when you’re trying to fit writing around a really busy business day and my goodness your business day must be busy. How do you find any users interstitial moments where you can just sit and scream about your book. What worked for you? Sarah Windrum: Allowing myself to do that, I think. Like getting myself into a frame of mind of that was important, and allowing myself to go like, “Okay, I’ve got something. I want to write. I’ve got this drive and this desire to do it, so just clearing and doing it in the moment. But then on the other side of that, when you don’t feel like doing it, actually scheduling some time say to no. If I’ve said I’m going to write every day and I found that really useful, small chunks every day, if I’ve said that, then I’m going to do it. And scheduling that time in your diary to do it. Because there will be those moments where inspiration takes you and you’re like, this is fantastic and wonderful, and I’m just going to write, and write, and write, and allow myself to do that. And then there’ll be other times when you’ll sit there with your computer and go, well, I meant to be writing something. Well, I’m I writing? Sarah Windrum: I think still not just going, “I’m not going to do it now,” actually still sitting there and going, “No, come on. There’ll be something.” And it will come. Sometimes it will take a little while, but you’ve got to schedule that time in. Otherwise, you’ll find … If you’re just writing in the inspirational moments, and that’s what I used to do, then day to day life could just take over and before too long those inspirational moments get further and further apart. Making that commitment to yourself to write is really important. Alison Jones: Yeah, I couldn’t agree more. Because actually, the inspiration comes often once you’re on to that halfway through the second page. Alison Jones: The act of writing. Sarah Windrum: Exactly. Just getting it out, I think, just getting it out and not worrying about formatting and editing and all that. That stuff comes later. The polish comes later. Get the raw creativity, the raw essence of what you want to say. Get that out there, and then you can refine and polish at a later date. Otherwise, I think you find you’re trying to write in two different mindsets. Sarah Windrum: Formatting words on a page. That’s exactly what you’re doing. Alison Jones: That’s the one. That is what it feels like sometimes, but it is a completely different mindset, and it’s really important to give yourself permission, I think, to do that and to do it badly. It’s such a necessary first stage. I think if you’re a perfectionist, you find that really, really hard. I’m laughing as well because you know that old adage if you want something done, ask a busy person. I do wonder if somebody like you who just has to structure their day so tightly it’s actually somebody better setup for the discipline of that daily writing than someone who perhaps actually has more time but isn’t as used to managing it as tightly. Alison Jones: I’m… good. I’m glad to hear that. Sarah Windrum: I’m saying this to somebody else. I have a little girl, she’s six. I schedule in our adventure days. It’s just it’s a day that is in my diary. Obviously, normally on a weekend, that is in my diary where we do whatever it is that she wants to do. And someone laughed. It was like, “oh, scheduled spontaneity.” But that is what it is. You’re right. I have a schedule and I schedule in everything including the kind of, let’s have fun. Because I think you do need to do that. You do need to make sure that you’re allowing yourself time to do the fun things and the creative things. Probably you’re right that I can seem to slot most things into my diary because I’ve got such a good schedule. I tried, for the work side, I tried a personal assistant and it just didn’t work. I think I’ve got so used to my own diary management and knowing what I’m doing and when and how I feel as well. I think that’s the other thing. I know myself really, really well. I can schedule stuff in knowing what I’m like when I’m most productive. Yeah, the PA didn’t work out. Sadly, I went back to doing it myself. Alison Jones: I’m just at the end of Dan Pink’s When. Have you read that? Sarah Windrum: I haven’t. No. Alison Jones: Oh, I think you’d like that. It’s talking about … We talk about, obviously, Simon Sinek’s book was about Why, and we focus a lot on the what and the how, but we very rarely talk about when. He said, “Actually, this is really important because people tend to make rubbish decisions at certain points in the day.” It’s about getting to know when you perform best and what tasks to schedule at what particular point in the day, and what kind of a person you are. Really, really interesting. Sarah Windrum: Oh, brilliant. It sounds good. Alison Jones: It sounds like you probably nailed it without reading it, to be honest. Absolutely, yeah. No, I will get that. That could be next on my reading list. Alison Jones: Well, this has gone completely the wrong way around because I’m supposed to be asking you to recommend a book that everybody listening should read, and now I preempted you and recommended my own. Sorry about that. Over to you Sarah. Would you like to recommend a book that you think we should all read? Sarah Windrum: I do think, well, Will It Make The Boat Go Faster from a real simplicity, actionable, deliverable point of view is a really, really good one. I’m also actually reading, Hillary Clinton’s What Happened, at the moment, and that is absolutely fascinating. I don’t understand American politics. I obviously saw what happened. Yeah, I saw what happened and thought, “Hey,” but this … Take the politics aside, her way of dealing with failure ultimately, and the fact that everyone expected her to win, I think that was the other side to it. It’s been a really, really interesting read and she’s written it very well and very personally as well. She deals with a lot of the emotional roller coaster that she went on and is still on to a certain extent. I would really recommend reading that as well irrespective of your political views. It’s just a great book in terms of how you deal with failure and how you move on from it. Alison Jones: Do you recommend I get Hillary Clinton on the show? Sarah Windrum: Yes. You should definitely try. You should definitely try. Sarah Windrum: I was just going to say let’s do what. Let’s tweet her and see what happens. You never know. You never know. Alison Jones: You never know. What’s the worst that can happen? Alison Jones: I should probably read the book first thing. Brilliant. Now Sarah, if people want to find more about you and your billions of things that you do, and also the book of course, where should they go? Sarah Windrum: I’ve got a website which is very basic at the moment. I just threw it together myself, but I’m going to redevelop it, so that it’s got more information about me. It’s just Sarah Windrum, www.sarahwindrum.co.uk. I’m also very lucky that my name is fairly unusual, so there’s myself and there’s, I think, another Sarah Windrum based in Norfolk who does needle work. That’s not me, if you come across her. I can’t sew. Maybe a button on a jacket and that’s about it. Sarah Windrum: If you google me and have a look on LinkedIn, my Facebook page is very public as well, so if you have a look on that, that’s got a lot about me and what I’m up to. Alison Jones: Fantastic. All right. I shall put all those links up on the show notes at extraordinarybusinessbooks.com as usual. It was an absolute pleasure talking to you today. Thank you so much for your time. Sarah Windrum: No problem. Thank you very much. books, business, mental health, mentoring, resilience, success, writing. Bookmark.